In season one, we traveled to the oldest continually inhabited city in the New World, St. Augustine, FL. Visiting the city feels as close to being in Spain as you can get in America. The major historical draw downtown is the giant Castillo de San Marcos fort. The Castillo is the oldest masonry fort in the continental US, and it’s coquina shell walls have many stories to tell. You realize how old St. Augustine is when you’re told that construction on the fort began in 1672, a full 107 years after the city’s founding. In 1763 the fort was ceded to Britain, and was called Fort St. Mark, this was during the time St. Augustine was actually the capital of British East Florida. “British East Florida” doesn’t even sound like a real thing, but I assure you it is. Shortly after that it went back to Spain, and then to the US, where we called it Fort Marion in 1821. 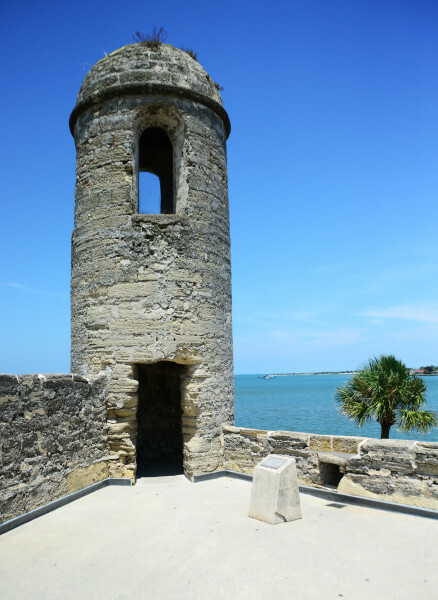 An act of congress settled the matter in 1924, and officially deemed it Castillo de San Marcos, and it was deactivated as a fort in 1933. All in all, the fort changed hands six times, all peacefully. That isn’t to say that life at the Castillo was always peaceful – it was thrice besieged. Once by the British colonial Governor of Carolina, James Moore in 1702, and again by the British colonial Governor of Georgia James Oglethorpe in 1740. Both resulted in Spanish victory. In 1812, American private soldiers attacked the fort in fear the Spanish would aid the British during the War of 1812, in a conflict known as the Patriot War. That ended in Spanish victory as well. Under American control it was used mainly as a prison, where Florida’s Seminole Chief Osceola was incarcerated during the Second Seminole war along with some of Geronimo’s Apache warriors. The average visitor will spend a little over an hour at the Fort. 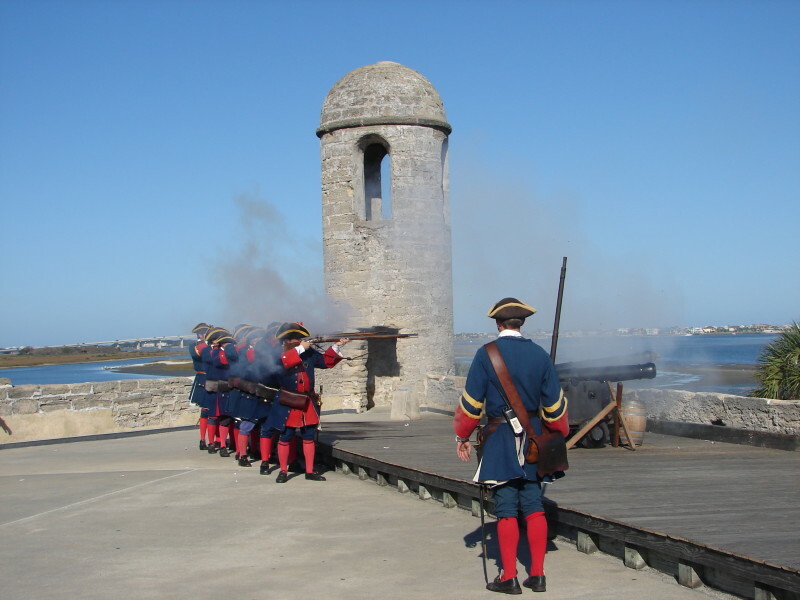 There are live cannon fire demonstrations and historical weapons demos, as well as, tours you can join. Admission is $7 for adults and children under 15 are free. Can’t beat that. For more information visit www.nps.gov.